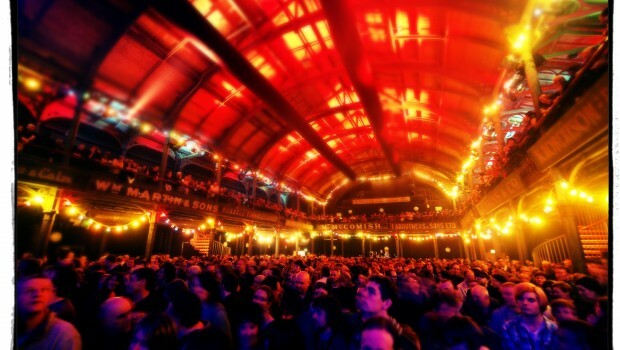 PRS for Music Foundation (PRSF) is thrilled to announce that our New Music Biennial, developed in partnership with Creative Scotland, Arts Council England and British Council, will feature in the Glasgow 2014 Commonwealth Games cultural programme and festival, alongside 47 other projects which were announced yesterday. The New Music Biennial is a UK-wide commissioning programme with performances throughout 2014. It features 20 new pieces of music by UK based composers which will also be broadcast by BBC Radio 3 and released as digital downloads via NMC Recordings. These commissions will be brought together in twin festival showcases presented by Southbank Centre in London (4-6 July 2014) and Glasgow UNESCO City of Music and Glasgow Life during the last weekend of the Commonwealth Games (2-3 Aug 2014). Amongst the Scottish projects selected for New Music Biennial are the highly acclaimed experimental folk trio Lau writing new work for themselves and the Elysian Quartet; artist and musician Yann Seznec who will create a new installation and performance for the Edinburgh Art Festival; and Mr McFall’s Chamber which is commissioning Bermuda-born composer Gabriel Jackson to write a setting of poems about island life by both Scottish and Caribbean poets. Elsewhere in the country audiences will be treated to new music by such exceptional UK talent as Matthew Herbert telling the stories of twenty unique pianos from around the world; David Sawer, with Onyx Brass, creating music to be performed across Britain’s historic bandstands, outdoor festivals and public spaces; and Arlene Sierra bringing together three international soloists in a tour de force for three pianos with electronics, sampled birdsong and percussion. A dedicated New Music Biennial website – www.newmusicbiennial.co.uk – has just been launched for people to find out more about the composers, commissions, organisations and ensembles that will be creating the new works and performing them across the length and breadth of the country in 2014. New Music Biennial is a PRS for Music Foundation initiative, in partnership with Arts Council England, Creative Scotland and the British Council. It is presented in collaboration with BBC Radio 3, NMC Recordings, Southbank Centre and Glasgow UNESCO City of Music. Additional support has been given by John S. Cohen Foundation, Jillian Barker and David Cohen, who initiated the award-winning New Music 20×12, Arts Council of Northern Ireland, Arts Council of Wales, the Incorporated Society of Musicians, The Bliss Trust and The Finzi Trust. PRS for Music Foundation is the UK’s leading funder of new music across all genres. Since 2000 PRS for Music Foundation has given more than £16 million to over 4,500 new music initiatives by awarding grants and leading partnership programmes that support music sector development. Widely respected as an adventurous and proactive funding body, PRS for Music Foundation supports an exceptional range of new music activity – from composer residencies and commissions to festivals and showcases in the UK and overseas. Creative Scotland is the national development agency for the arts, screen and creative industries. Our vision is that Scotland will be recognised as one of the world’s most creative nations – one that attracts, develops and retains talent, where the arts and the creative industries are supported and celebrated and their economic contribution fully captured; a nation where the arts and creativity play a central part in the lives, education and well-being of our population. The Arts Council champions, develops and invests in artistic and cultural experiences that enrich people’s lives. We support a range of activities across the arts, museums and libraries – from theatre to digital art, reading to dance, music to literature, and crafts to collections. Great art and culture inspires us, brings us together and teaches us about ourselves and the world around us. In short, it makes life better. Between 2011 and 2015, we will invest £1.4 billion of public money from government and an estimated £1 billion from the National Lottery to help create these experiences for as many people as possible across the country. The British Council creates international opportunities for the people of the UK and other countries and builds trust between them worldwide. We are a Royal Charter charity, established as the UK’s international organisation for educational opportunities and cultural relations. Our 7000 staff in over 100 countries work with thousands of professionals and policy makers and millions of young people every year through English, arts, education and society programmes. We earn over 75% of our annual turnover of £739 million from services which customers pay for, education and development contracts we bid for and from partnerships. A UK Government grant provides the remaining 25%. We match every £1 of core public funding with over £3 earned in pursuit of our charitable purpose.